Germany Dependent Visa. If You Wish to Get Your Family to Germany. Germany Dependent Visa – Germany does have a seasonal climate that is dominated by the humid western winds. The East has more continental climate and winters can be very cold, and summers are very warm and longer dry period might occur. All foreigners who do not belong to EU and seek Permanent Residence in Germany must obtain a residence permit. Individual’s families not only enter Germany but also enjoy life in Germany. 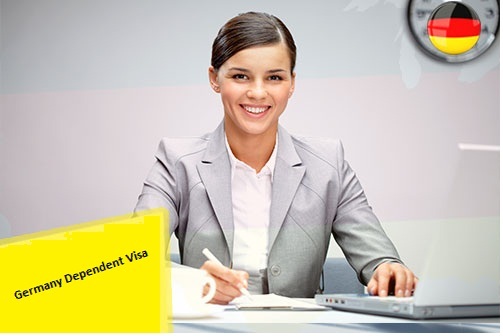 Apply for Germany Dependent Visa. If you wish to get your family to Germany. Work: Your accompanying family members can immediately receive residence permit that will make them entitle for right fro employment in this nation. Education: Their children have a broad range of schools to choose from in Germany. Moreover, individual’s family does have access to German technical as well as traditional universities. However, we find more and more courses are also being taught in The English language. Incase travel to Germany with spouse and she wish to continue her studies that begin in her home nation, and then university diploma initial need to be obtained and then get it recognized in Germany. Later she would be able to continue her studies in Germany to obtain a higher qualification. Germany is signatory to Schengen agreement; this helps in free movements of residents within the nations covering Schengen area. A visa that has been approved in one of the nation is valid in the whole of the Schengen area. We find travelling within the Schengen area is legally as same as travelling within Germany. If you wish to enter Germany with a tourist visa, the individuals would be able to stay in Germany and any other nation in the Schengen area for up to 90 days during any 6-month period. In Germany there are two types of a residence permit, one is for a limited stay, and the other one is unlimited stay. The individuals can apply for unlimited stay only after several years of continuous residence or if special requirements are met. The limited permit does carry an expiry date. The individuals might be allowed to apply for an extension of that permit when the expiry date nears. I have a business permission in Germany Can I apply for Long Term Visa to live in Germany. How much does a Germany Visa Cost, Is it for avialble for free of cost? Please contact Opulentus Overseas Career for more information. I applied my visa in India, now am in Germany and now my visa is about to expire. Can I renewal it here or I need to go back to India? I’m having a wish to move to germany? what are conditions i should face to move to germany?